Profile picture galleries and other updates! The site has undergone some updates and is now fast enough that we can bring back user galleries in profiles and some other features! Now you don't have to go searching for a fags exposure to see their pictures, you can just check out their profile to see their pictures…assuming they have uploaded pictures… which i'm sure you all will, seeing as that's the whole point of this site. As well as being able to add pictures to your profile, fags can now add pictures in the activity feed, and also add images to groups! 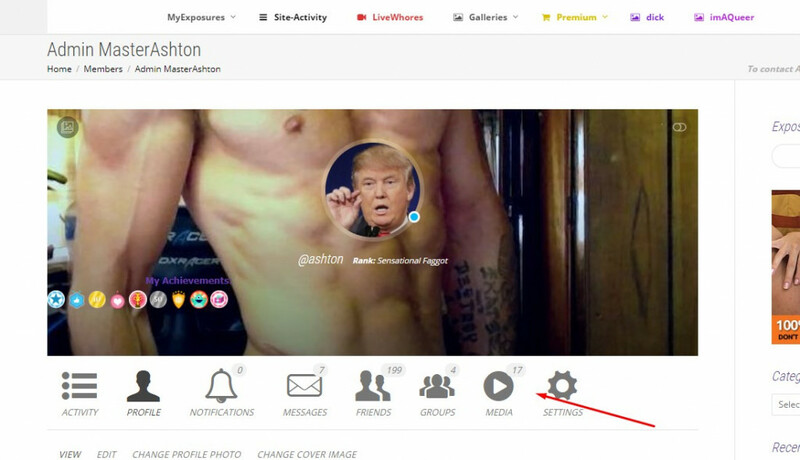 To add pictures to your profile, simple click the media icon when viewing your profile. The following pictures will demonstrate. Click media when viewing your profile to create a photo album. Click the camera button to add pictures to the activity wall.